This is a very important tutorial for beginners in audio recording and mixing. 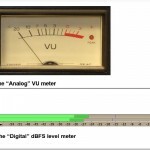 Gain staging is a technique to maximize signal clarity and minimizing noise or distortion. So how you are going to achieved this in your recording and mixing projects? The higher the signal to noise ratio, the better will be the clarity/fidelity of the recorded signal and the lesser will be the noise. By recording at 24-bits, you maximize the capacity of your audio interface (provided it supports 24-bit recording) when it comes to signal to noise ratio. Since a pure 32-bit audio interface still does not exist commercially as of 2011; then always use 24-bit in your recordings. If you like to know the details why a 24-bit recording is more accurate than 16-bit recording, etc; then read this pulse code modulation tutorial. In some digital audio workstation software, there is no 24-bit recording option but only 32-bit float. In this post on 32-bit float recording depth vs. 24-bit, it shows that 32-bit float has 24-bits accuracy. If your recording software does not support 24-bit recording, then you can select 32-bit float recording. In the above chart, it depicts a typical 24-bit recording. 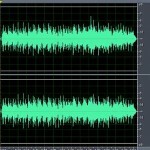 The dynamic range is around 144dB and the noise floor is around 120dB. 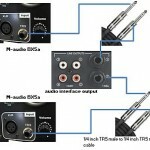 Therefore the effective dynamic range or signal to noise ratio is around 120dB. Human ear dynamic range is around 120dB so if the noise floor is around at 120dB, you have optimal signal to noise ratio for a 24-bit recording. It is because the recorded signal has a LOT of room to occupy and expand (120dB range); making the sound clear, transparent and true to the original sound source. 1.) Use high-end and professional recording gears as they have very lowered noise output compared to consumer devices. 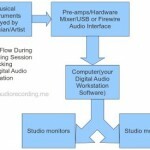 This applies to your audio recording interface, mixer, etc. Research about the noise floor contribution of the device before you will purchase them. 2.) Use quality microphones. 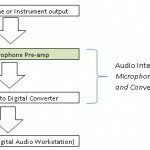 For example for vocal recording, you might be using high-end vocal condenser microphones than simple dynamic microphones because they have higher dynamic range output and lower noise floor. 3.) Use balanced inputs and outputs as possible. Read this important tutorial on balanced and unbalanced audio guide in home recording to learn some theory as well as the best practices during recording. Identify the common causes of noise in recordings and correct them.